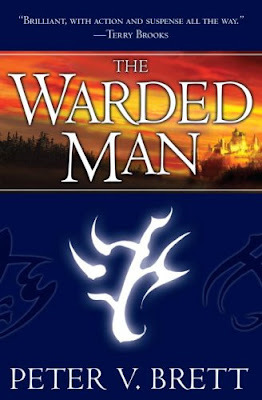 “The Warded Man” or “The Painted Man”, the name of the UK version of the book, is the debut novel of Peter V. Brett. The world is threatened every single night by demons. The “corelings”, as the demons are known, rise every night and kill every single human who is not protected by a circle of wards. In this world, three children face a difficult life, but they will try to find their way in this world and to make a change in their destinies. 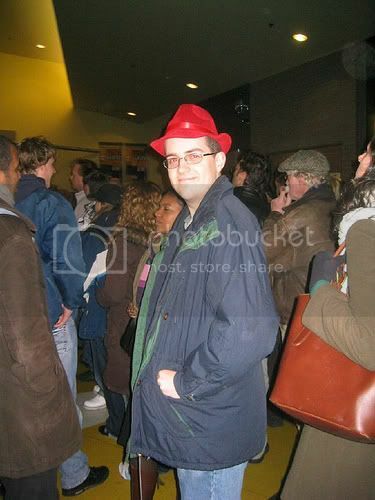 Peter V. Brett caught me since the beginning of “The Warded Man”. I found his concept quite interesting, with a grim and dangerous world. I liked this idea and what I liked even more is that the demons of his story are not all the same. I could find different demons throughout the story, such as fire, wood, wind, rock, water demons, each one of them with their characteristics and particularities. I liked also how these demons are kept at bay with the use of wards. The wards, the magic of the story, are having their own uses and particularities, as the demons have, and each one of them performs different actions. However, one of my issues with the novel lies in these two concepts. I would have liked to know more about the demons and the wards, for instance where the demons are coming for or how the wards actually work. It is a minor issue and one that I believe, as I saw on my reading, will be resolved in the future novels of Peter V. Brett’s series. The geography and the history of the world of “The Warded Man” are rather vague. I could see glimpses of both, but they only intrigued me. The world is inhabited by different races of humans, but all the humans share their knowledge and goods, trading information and merchandise with the help of Messengers. The Messengers are the postal service of this country and play a big part in the world. It seems that the humans share the same religion and legends too. It is a religion centered on one single God figure, Everam, the Creator. But as the geography and the history, the religion aspect is vague too. I liked all these concepts, as vague as they are, and I will not complain about them, because I am certain that the novel is not focused on these aspects. And as the concepts of demons and wards I believe that these ones will come in focus more in the next novels of the series. The main focus of “The Warded Man” and his strong quality is the characterization. Peter V. Brett does a very good job here, building his characters with care, nurturing and growing them. His characters step on their own unique and interesting path, beginning a journey through years and events which will lead them to a common point of their paths. And the characters will grow and change in a realistic way throughout their journey. As I went on with my reading I grew more accustomed and attached by the characters. I liked how their lives seem more ordinary, I liked their frustrations and their mixed feelings and I liked the fact that they could fail as well. And I am really looking forward to meet them again, because toward the end of my reading I found that their stories promise new interesting and captivating adventures. Peter V. Brett makes a strong debut with “The Warded Man”, one that caught me in the web of his story. However, I have a major issue with the novel, now I am having another series that keeps me waiting for its next novel on my reading list. Cool! Another debut for my calendar! The sequel, The Desert Spear, is out in summer 2009, so not too long a wait! I liked your review, and with the missing elements, perhaps as you have mentioned, Dark Wolf, they will be revealed in the second book. I'm putting this book on my TBR list.